Edit: since the original publication, DRD/2013-0038 now resides here. In amongst this cornucopia of questions and answers is the linguistic equivalent of an iceberg … or maybe a Claymore mine … above the surface is a simple – one sentence – question requesting: ‘Information relating to the archaeological dig on a crannog in Enniskillen beginning in 2012’ (DRD/2013-0038). Of course, the explosive charge is contained in the paragraph beneath the surface … a tightly worded list of 13 questions, several with detailed sub-questions. I’m going to go out on a limb here and suggest that, given the timing of the request (February 6th 2013) it was most likely submitted by Prof Gabriel Cooney as part of his research for the report commissioned by Alex Attwood in July 2012. Even if these questions were not submitted by Prof Cooney, they display an in-depth knowledge of the site and its broad planning and excavation history. So, somebody was asking the right questions. Unless stated otherwise stated, all quotes are from this set of questions and replies (replies are dated the 6th of March 2013). The answers given by DRD surprised and distressed me and I have wanted to both write a rebuttal and ask further questions about it ever since. However, I felt it was better to hold fire until Prof Cooney’sreport on the site was published. Now that the report is available and I have offered a detailed response and analysis to it, I thought it was appropriate to turn my attention back in this direction. You, dear reader, will be grateful to know that I have no intention of going through the whole thing in depth and commenting on each point at length. Instead, I merely intend to pick out a few key points worthy, in my opinion, of further comment, analysis, and investigation. In the context of my review of Cooney’s report, I’ve already commented on part of question 1d, regarding the awarding of the excavation licence. From the DRD response, it is clear that Declan Hurl was the sole licenced archaeologist for the first phase of the project, becoming jointly responsible with Dr Nora Bermingham on July 30th 2012. This much we knew. What was less clear (and is not covered in Cooney’s report) is when and why Declan Hurl subsequently left the project. This is a key question in understanding his roles and responsibilities, along with how he was treated by Amey, his direct employers. The salient detail that this response adds is that ‘1 An extension was granted to Dr Bermingham’s license on 29 January 2013, (Mr Hurl being no longer involved in the excavation).’ Thus, at the very least, Declan Hurl appears to have left the project by that date. The answer to Question 1f is revealing. The question centres on whether or not there was consultation between Roads Service, Amey, and DOE Planning. The answer notes that: ‘Roads Service consulted with NIEA Built Heritage, which advised the proposed road alignment ran close to a number of known archaeological sites.’ On the surface this looks completely kosher … Roads Service were totally on the ball and doing their job and all that. Except … not really. It’s true that there was contact between Roads Service & NIEA about the Drumclay crannog. However, it’s only in Cooney’s report, where he carefully dissects the timelines of events, that it becomes clear that although Roads Service had files on the project going back to July 2004 the NIEA were only contacted in January 2008 … a full 42 months after the project kicked off. By this stage, all the important decisions about route selection along with perceived notions of the impact to the archaeological resource were pretty much firmly established. To put it in a bit of context, it’s like saying that you had a wonderful dinner when in reality you turned up late and only helped clear the dishes from the table and do the washing up. Cooney identifies this exceptional lag in reaching out to NIEA as a significant contributing factor to the planning fiasco that ensued. Question 2 asks for ‘Details of how the archaeologist was unaware of the crannog, despite being recorded.’ DRD’s response is that Declan Hurl inspected the site, but was unable to confirm the location of the site, partly due to changes in the landscape such as the infilling of the little lake and related watercourses. The answer clearly claims that ‘The possible crannog site was identified during September 2009, when further borehole investigations identified an area of firmer ground’. However, Cooney demonstrates that Roads Service were advised on this in the ‘Cultural Heritage’ section of the Environmental Statement report (September 2007). The document was prepared by John Cronin and Associates and explicitly states that the crannog ‘is located along the proposed route ... The site will be directly impacted on by the proposed link road’ (Emphasis mine). The same report states this again in a later section: ‘The proposed Cherrymount Link Road will directly impact a recorded archaeological site at the junction of three townlands: FERM 211:061, a crannog and location of a dugout canoe’ (Emphasis mine). I would ask the DRD if it is not now time to admit that their answer was incorrect and to publish a retraction? It’s probably only a minor point, but the DRD’s list of published questions doesn’t contain a 4f … yet they still provide an answer to it … ‘4)(f) Roads Service, its advisors (Amey) and NIEA have been in frequent consultation at site level for the duration of the dig. Towards the end of July 2012, upon recognition of the unprecedented significance of the site, NIEA co-opted Dr Bermingham to co-direct the dig’. Another minor point is that where Question 5 asks for ‘The identity of the owners of the archaeological consultancy contracted to supply the excavation crew’ the DRD response misspells it. Their answer is ‘Farrimund MacManus’ when it should be ‘FarrimondMacManus.’ As I say, these are minor points, but (I believe) should be corrected in the interests of clarity and completeness. 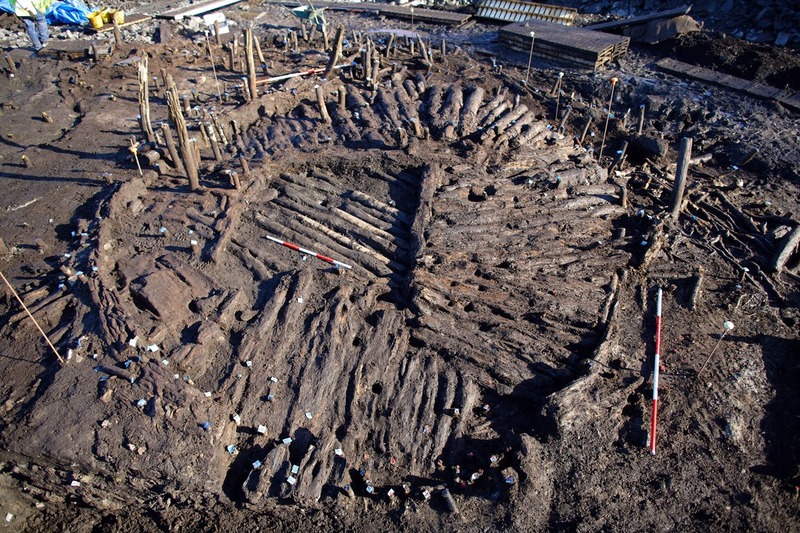 ‘The investigative excavations carried out on the crannog were limited both in area and depth. It was assumed that there was limited, very shallow Late Medieval occupation of the crannog and that the site was constructed in this period. This view is not supported either by the archaeological literature on the nature and dating of crannogs, nor by the geotechnical drawings of the crannog FERM 211:061 which were submitted as part of the discussion over a mitigation strategy. These clearly indicate a realisation on the part of RS/Amey that the crannog had a considerable depth’ (Emphasis mine). And yet … the DRD response to the criticism of Declan Hurl’s direction of the site by both myself and a number of the excavation crew is to characterise it as ‘unwarranted, unprofessional and took no cognisance of the emerging and unprecedented nature of the features and artefacts being uncovered.’ Considering Cooney’s findings – that Declan Hurl’s understanding of the site bore little resemblance to the current state of knowledge of crannogs and that his management of the excavation was clearly non-professional – I believe it is time to challenge the DRD’s statement. For this reason, I call on the DRD to retract their statement as it is plainly counterfactual and issue an unreserved apology to myself and the various members of the excavation crew who brought this situation to wider public and professional attention. Obviously, Dr O’Keeffe passed on, at least, knowledge of the existence of my disinclination to attend, if not the actual context for that refusal. In the light of this broader context, I would call on the DRD to either retract or rephrase their statement as to my physical presence on the site, my degree of knowledge of the mismanagement of the excavation, and my reasons for refusal of the invitation to attend. I would also appreciate an official acceptance and acknowledgment that the phrasing of the original answer was – either through design or genuine error – misleading and disingenuous. The final question I’d have for DRD is who exactly crafted their response to the original set of questions? There are several instances in their answers where there is what may be interpreted as a studied reluctance to be completely honest and transparent. I would inquire whether the Department would consider reviewing this individual’s work with greater care in future to ensure that such traits are eliminated and eradicated? Based on the analysis of their responses to DRD/2013-0038 and the findings of Cooney’s report, I have prepared a list of questions for the Minister responsible for DRD, Danny Kennedy MLA. Should I receive any useful responses, I’ll be sure to post them here! The title of this post is two fold ... essentially, I couldn't make up my mind between the two choices ... so I just used both. The first part is, of course, derived from Robert Frost's much over used 'The Road Not Taken', and I can only offer my most sincere apologies to the poet and his estate. The second portion is a lyric from the song 'Lord, I'm discouraged' by the rather wonderful The Hold Steady. To them I offer no apology, merely acknowledgement of their general awesomeness. In the spree of open days, public outreach conferences, lectures, and the apparently endless cascade of amazingly well-preserved artefacts and structures that followed, it was easy to forget that Minister Attwood also commissioned Prof Gabriel Cooney to investigate the causes of this archaeological and planning catastrophe, and to produce a report on it. On the 31st of July 2012 The Impartial Reporter quoted the Minister as saying ‘I will appoint an independent person or persons to review the full story of this site, including how the current situation developed. Indeed, with major road developments in the pipeline, how known and unknown heritage sites are protected is an issue that I will be robustly interrogating.’ While the report was completed and submitted to the new Minister, Mark H Durkan, on 21st of October 2013 it was not (despite repeated efforts) made public until the 25th June 2015. The Minister’s statement and Action Plan, along with Prof Cooney’s original report are available here: Lessons learnt from Drumclay Crannóg Excavation. Officially, it’s called Review of the context of the excavation of a crannog in Drumclay townland Co. Fermanagh on the route of the Cherrymount Link Road … but in my head I’ve called it The Report on the Drumclay Crannog for as long as I’ve known Prof Cooney had been commissioned to write it! Sooooooo … now that we have it, what does it say? Even Cooney’s initial comment on the archives of documentation is revealing. The files held by Roads Service on the Cherrymount Link Road go back as far as July 2004, while those curated by NIEA: Built Heritage on the Drumclay crannog only begin in January 2008. That’s 42 months – nearly three-and-a-half-years – where NIEA were not in the loop about Roads Service’s plans for the route. In particular, they were not given the opportunity to consult on the Preferred Route Options Report (2007). Thus, by the time NIEA even became involved in the project, it was already well established and important decisions were locked down with little or no flexibility or willingness available to change or revisit. The archaeological consultants engaged by Roads Service at that time, John Cronin and Associates, were clear in their advice that NIEA would have to be engaged and provide approval. As Cooney notes: ‘But critically EHS [now NIEA] does not appear to have been consulted on the choice of route, the weighing up of the environmental impact of the two route options or indeed on the Environmental Statement for the scheme.’ Despite this lack of appropriate engagement with NIEA at the genesis of the project, it is clear that soon after they were initially consulted NIEA were consistent in promoting the message that ‘the proposed line of the route would disturb or destroy the archaeological remains of the crannog, that policy dictated the avoidance of known archaeological sites and the need to clearly identify the location and extent of the site on the ground.’ They also emphasised the archaeological significance of the site and the extreme costs of excavating it. Nonetheless, this message appears not to have been sufficiently well put to (and taken up by) Roads Service and Amey Consulting (the designer for the road scheme) as they appear to have been convinced that the chosen route option would not encounter the crannog. While Cooney points to issues with discontinuities of staff – both within NIEA and, more particularly, with the change of archaeological consultant from John Cronin and Associates to Amey’s own Declan Hurl – he sees a greater issue in the disparities in the seniority and authority of those on both sides of the negotiating table. He cites examples of meetings where the interests of Roads Service, Amey et al. were represented by a Principal Professional and Technical Officer and a Senior Professional Officer, while NIEA was represented by two Senior Inspectors and one Archaeological Inspector. Dr John O’Keeffe (Principal Inspector), NIEA: Built Heritage is clearly criticised for his lack of involvement in the project prior to the crucial public campaign in July 2012. Similarly, there is no evidence of the early involvement of either the Built Heritage Director or the NIEA Board, even at a time when it was becoming clear that the Drumclay was emerging as a significant strategic issue. Cooney also cites an example from April 2012 where Maybelline Gormley (Senior Inspector) was the sole NIEA representative – in a meeting of nine key people – to discuss the implications of a partial collapse of the crannog owing to engineering works at the site. 2. Why was the road identified as necessary (as outlined in publicly-available documents concerned with the Roads Order for this project) and were there issues that could have been anticipated and addressed? As noted above, Roads Service et al. appeared to be convinced that their chosen route option would not pass through the Drumclay site. Cooney states that this misapprehension was due to their mistaken belief that the green dot on the map they’d been supplied was an exact location, not a general one. The ‘Cultural Heritage’ section of the Environmental Statement report (September 2007) – prepared by John Cronin and Associates – clearly states that the crannog ‘is located along the proposed route ... The site will be directly impacted on by the proposed link road’ (Emphasis mine). The same report states this again in a later section: ‘The proposed Cherrymount Link Road will directly impact a recorded archaeological site at the junction of three townlands: FERM 211:061, a crannog and location of a dugout canoe’ (Emphasis mine). The Notice of Intention to Proceed with the Cherrymount Link Road (June 2007) explicitly states that the new road ‘will directly impact on two recorded archaeological sites; a crannog and a dug-out canoe. The location of the crannog has been subject to intensive drainage works in the past since it was originally situated on a lough. The crannog is indicated as an island on 1835 and 1860 editions of the OS mapping. The dugout canoe associated with the crannog was subsequently reburied and lost in this area’ (Emphasis mine). Cooney rightly believes that the choice of route was a decision of paramount importance and one that could have been greatly influenced by a clear understanding of where the crannog lay. He notes that ‘this locational information would have been a more serious adverse factor in assessing the environmental impact of the preferred route.’ Simply put, if the mark on the map had been more accurately placed, or the understanding of the degree of error surrounding that location had been effectively communicated, much of the following saga would never have unfolded as it did. The key thing to note here is that NIEA – the people best placed to discuss this data and its potential errors – were not consulted in September 2007 when the Environmental Statement was submitted … it would be a further four crucial months before their first formal record of NIEA involvement in the site even begins! Phase I: Up to the end of November 2010. Up to this point John Cronin and Associates were the archaeological consultants for the scheme. Phase II: December 2010-8 June 2012. 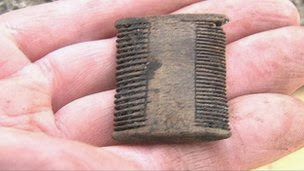 This covers the period from Declan Hurl’s (Amey) appointment as the Roads Service senior archaeologist on the scheme. 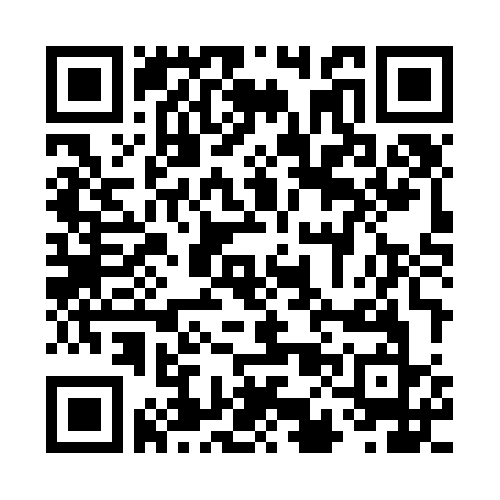 Phase III: 11 June 2012-27 July 2012. The seven weeks that formed the initial phase of the excavation of the crannog directed by Declan Hurl. Phase IV: From 30 July 2012 when a revised archaeological and environmental strategy to resolve the excavations of the crannog were established by NIEA and led to the appointment of Dr Nora Bermingham to co-direct the excavation. Having set out the Phasing of the timeline above, Cooney here fills in the documentary detail from his various sources, essentially creating a ‘who said what to whom … and when’ breakdown of events for Phases I and II. The first thing that’s obvious here is that although the Preferred Options Report (June 2007) incorrectly states that 'no recorded archaeological sites are directly impacted on by the proposed scheme', this had been corrected by September 2007, when the Environmental Statement was submitted. This shows that Roads Service statements in July 2012 that they did not know the location of the crannog and that the whole thing was a big surprise to them were disingenuous. Cooney argues that 'A key shortcoming in the process was that EHS (as it was then)[NIEA] does not appear to have been consulted either on the Scheme Assessment Report Stage 2: Preferred Options Report (June 2007) or on the Environmental Statement (September 2007)'. Had Roads Service et al. reached out to NIEA at this early stage, I believe that the events that this report covers would simply not have occurred. Confusions over the location of the site would conceivable have been quickly resolved and a more appropriate route selected. He also notes that John Cronin and Associates had advised on a strategy of test trenching in July 2008 (after outreach to NIEA in January 2008), but by December 2010 (17 months later) no physical investigation had actually been undertaken. In fact, no excavation work in the crannog would take place until February 2011, a full 31 months after the initial recommendation. Cooney concludes that ‘It is hard to understand why this critical fieldwork to inform the decision-making process was delayed for over two and a half years while in the interim road construction work had begun on the route’. I’m genuinely surprised that Prof Cooney’s report is not littered with expletives at this point. Road construction had begun and Roads Service, Amey, and MHPT JV were all happily trundling along thinking that this crannog – that they’ve been repeatedly been told by NIEA is a major issue – will simply disappear in … what? … a cloud of fairy dust? Really? In a sentence showing a superb mastery of understatement, Cooney concludes that ‘It does not appear that RS/Amey and from late 2011 MHPT JV had a coherent or consistent strategy to mitigate the impact of the road on the crannog’. But what are NIEA doing while all this is going on? Cooney notes that they reiterated ‘the high cost of excavating a crannog and the inherent difficulties of piling/rafting over the crannog’, but at a management level, this blossoming crisis is not being escalated and passed back up the chain of command. By the 30th of January 2012 Amey were telling NIEA that the contractor (MHPT JV) ‘was not properly considering how to deal with the crannog. 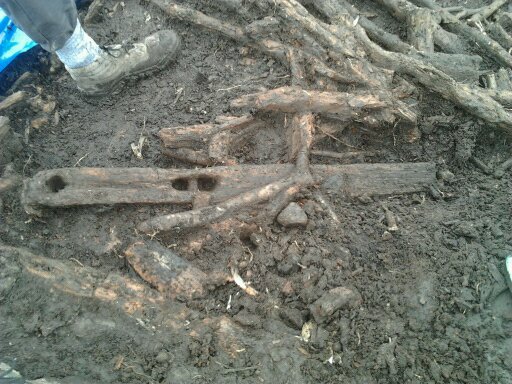 MHPT JV were considering digging out the bog as an engineering solution, including the crannog area’. Why was this contractor allowed to run out of control? Why were they not being reined in by either Roads Service or Amey? ‘It is very difficult to understand why NIEA: Built Heritage did not act more strongly when the ‘Crannog Trenching Report’ was submitted under the excavation license (AE/10/199) issued to Declan Hurl in February 2012. The work carried out was unauthorised and in direct contravention of Article 41 of the Historic Monuments and Archaeological Objects (Northern Ireland) Order 1995, caused damage to the site and could have constituted a prosecutable offence. Amey’s admission of breach of license was, as stated by NIEA officials, admission of an illegal act (parallel to a breach of listed building consent). Yet there is no file reference to further action – such as referral to senior management for advice in relation to this breach, consideration of referral to Departmental Solicitors, or revocation of the license to excavate. 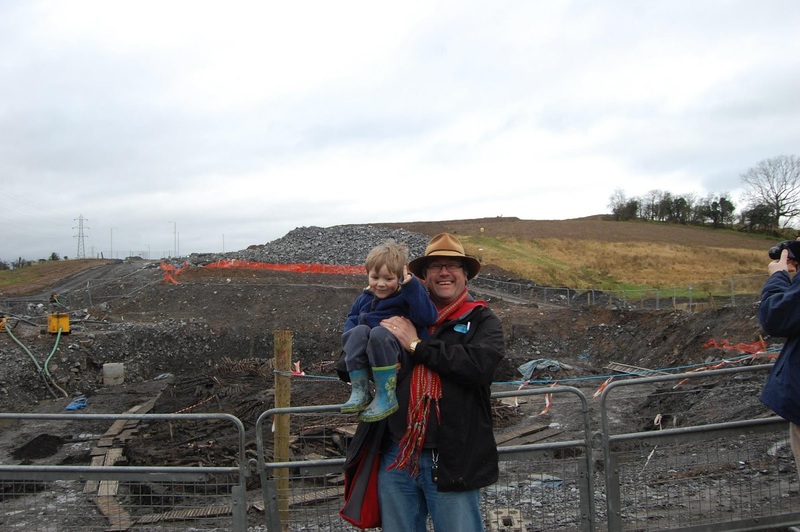 NIEA: Built Heritage took no further action and indeed renewed the license so that Declan Hurl could undertake excavation of the site in June 2012’ (Emphasis mine). ‘It is clear that the conduct of the excavation did not meet the standards set out in NIEA’s Excavation Standards Manual (ESM) or the standards set by professional archaeological bodies such as the Institute for Archaeologists (IfA) or the Institute of Archaeologists of Ireland (IAI). ‘It appears that the excavation director was the only one who could assign context numbers. There was no photographic register (a single camera was used to take about 1,000 unlogged photographs). Surveying equipment and a surveyor were available only sporadically from Amey and there were very limited storage facilities and recording of artefacts. It is clear that there was no effective environmental strategy for the site. The site director maintained his own site notebook as an aide memoire, as his own intellectual property and not part of the formal excavation archive. Over the course of phase 1 of the excavation the site supervisors appear to have improvised and created their own registers and devised an environmental strategy. The site director funded the supply of finds bags, pens and other basic requirements out of his own pocket. ‘1. NIEA has monitored the progress of the excavation as it has progressed and is content with how the site has been excavated and recorded’ and ‘4. All occupation levels have been excavated and fully recorded’. ‘I wrote this prior to my own inspection of the site, based on information to hand at the time. Para 12, sentences 1 and 4 [i.e. the two sentences quoted above] are not correct, though this is what I understood at the time. From my own inspection of the site on 26/7/12 it was evident that the excavation to that date was not complete, not satisfactory and not of the standard required’ (Emphasis mine). I feel that there is something that needs to be carefully unpacked here. On Tuesday the 17th of July he is sufficiently concerned about the quality of the site’s excavation that he sends Gormley to investigate. Yet, the following Monday (23rd) he’s confidently telling the Minister that he’s satisfied with the way in which the site is being excavated and that all the ‘occupation levels’ have been fully excavated. He only finds out that this is grotesquely inaccurate when he visits the site on the Thursday (July 26th). The logical conclusion is that his erroneous beliefs, based on ‘information to hand at the time,’ were from a single source: his representative at the excavation: the NIEA Senior Inspector. This revelation can only bring into sharp focus numerous questions as to the competency and professionalism of this individual, along with the degree of trust that appears to have been placed there. Cooney notes that even at this advanced stage ‘It would seem that the RS/Amey non-archaeological staff did not appreciate the archaeological importance of the site or the excavation and wanted a definitive completion date’ (Emphasis mine). Understandably, Declan Hurl as both Site Director and direct employee of Amey was ‘under considerable personal and professional pressure.’ In this I have the utmost sympathy for him. Having directed excavations in the commercial sector under extremely trying conditions, I can acknowledge that these can be incredibly stressful situations. Nonetheless, this is the job you signed up for and negotiation, communication, the management of expectations, and – yes, pressure – is part of that role. Cooney, quite rightly, acknowledges that in such situations communications between staff and Site Director can be strained. For all that, it must be emphasised that ‘The central issue was the non-professional standard of the conduct of the excavation under the site director’ (Emphasis mine). This is the meeting where, as Cooney states, it was agreed ‘that a Senior Environmental Archaeologist should be employed immediately to devise and implement a scientific, environmental archaeological sampling strategy and obtain maximum value from the excavation’ and would act as co-director with Declan Hurl. This period concerns Phase IV of the timeline (the ‘Phase 2’ excavations), from Monday the 30th of July 2012, with Dr Nora Bermingham’s appointment as co-director of excavations. 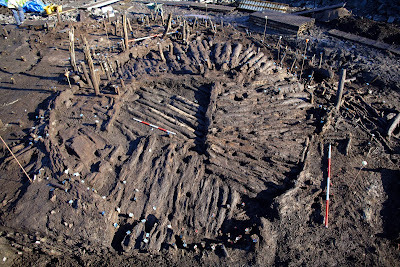 In assessing the archaeological and cultural value of this excavation, Cooney states that ‘The excavation yielded an enormous volume of artefacts, structures and datasets that will transform our understanding of crannogs and inform wider discussion of early medieval Ireland’ (Emphasis mine). In addressing the effectiveness of stepping in and restructuring the excavation, he could not be clearer: ‘The remedy was effective. It delivered a rescue excavation carried out to a very high professional standard and to an integrated research design in a highly pressurised environment. It is a landmark excavation and has provided a wealth of data which will transform our understanding of early medieval Ireland’ (Emphasis mine). 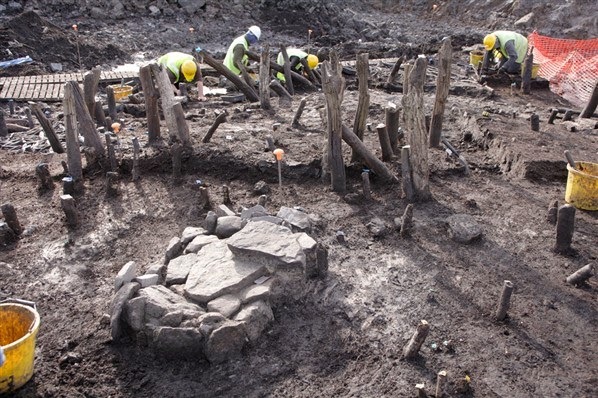 1) There should be a defined protocol/code of practice for archaeological work that provides ‘a clear, consistent and transparent framework for the conduct of archaeological work on road schemes’. 2) There should be a defined protocol/code of practice for all archaeological contractors carrying out work on road schemes. 3) Where archaeological excavation is deemed necessary, it is carried out well in advance of road construction work. 4) A review of the process of licensing archaeological excavations must be made a priority for NIEA, along with the policy for the long term curation of excavated artefacts. 6) It is recommended that Board-level meetings between NIEA and other government agencies be restarted and not relegated to operational level, as they had been in the past. Cooney notes that ‘Such a strategic, Board-level engagement would certainly have been beneficial in the context of the Drumclay crannog and its excavation’. In all cases the recommendations have been accepted unconditionally by NIEA. The Action Plan goes so far as to list the Action Arising and Timescale for completion of each recommendation. First of all, I must say that this is a spectacularly open, honest document that pulls no punches. It is clear, concise, and unflinching in its assessment of the whole Drumclay planning and excavation saga and clearly documents how an unmitigated omnishambles was transformed into, arguably, the finest and most important excavation of our generation. Professor Cooney – not that you need my approval, but I salute you! I also salute the then Minister, Alex Attwood, for his foresight and vision – it can’t have been easy for him to choose the long-term value of the archaeological site over the short term benefit of completing the road. The current Minister, Mark H Durkan, and the staff of the NIEA are also to be congratulated for taking these recommendations on board and being committed to bringing them to implementation. At a personal level, it completely vindicates the position taken by the Cherrymount Crannog Crisis group and all the people and organisations that recognised themselves as stakeholders in this process and stood together to say ‘this is wrong!’. Even more importantly, it vindicates all of those professional archaeologists on the ‘Phase 1’ excavation who either communicated with me, or attempted to bring about change directly with NIEA – they were right! The quality of the excavation fell hugely below all reasonable standards and they were right to kick against the pricks! Well done everyone! It’s time to move on to a fresh tomorrow with confidence and harmony … right? The music swells … it’s some combination of a children’s choir and lushly-produced strings … crepuscular rays stream through the clouds … freeze-frame on archaeologists marching off hand-in-hand … fade to black … roll credits … right? There are still significant questions that require both answers and solutions. In fairness to Prof Cooney, these are largely beyond the remit of his report and beyond the scope of what he could hope to investigate. In the first instance, I’d have a minor quibble with some of Cooney’s recommendations. The final three have broad application across the entire practice of commercial archaeological excavation in Northern Ireland – and that is to be welcomed. However, the first three only apply to road construction. Of course, this report only deals with road construction, but if Cooney felt he had the power to make recommendations 4-6 ‘universal’, then recommendations 1-3 should be the same and applied to all forms of archaeological excavation, not just the road schemes. As has been noted earlier, the initial response of the various state bodies was to claim that there was no issue with the excavation. There was a clear and concerted emphasis on discrediting their critics. Even as late as Summer 2013, when the paper 'Drumclay: A Most Surprising Crannog' was published (Archaeology Ireland 27.2, pp. 37-40), J. D. J. O'Keeffe added a postscript that included the line: 'Opinion and speculative articles, including many inaccuracies, have been published' (Emphasis mine). If memory serves, similar comments were made by Dr O'Keeffe when a number of us gave a presentation at the IAI conference in Belfast [here]. At that time the findings of Cooney's report were not available and no informed rebuttal could be presented. However, now that the report is published and the preliminary findings of the excavation are known, it is clear that while there may have been inaccuracies in the reporting of the situation they were pretty much insignificant. If anything, the public reporting of the situation during the planning process and the Phase 1 excavation significantly underplayed the full extent of the incompetence and mismanagement by Declan Hurl, NIEA, & Roads Service et al. Nothing in Cooney's report may be taken to suggest that those who publicly advocated for the site were in any way inaccurate, incorrect, or unprofessional. I think it would be appropriate at this point, with no mysterious unpublished report to hide behind, that Dr O'Keeffe offer a full and unreserved apology to all for his statements. You can be damned sure that, had Cooney's report found differently, apologies would be demanded of us! Although I know that the archaeologists involved in the ‘Phase 1’ excavation were solicited for statements about the conduct of the excavation, an analysis of their treatment appears to have been beyond the scope of the report. That does not mean that is not a point of continuing pain and humiliation for those involved – both the crew interrogated by Declan Hurl to discover who had spoken to me for this blog, and the archaeologist summarily dismissed for admitting to having been one of the ‘whistle-blowers’ and providing photographic evidence of the quality and quantity of materials being discovered. This latter individual, distressed at the way the crew was being treated by Declan Hurl during this interrogation, took sole responsibility for speaking to me. In doing so, they shielded the other members of the crew that had either spoken to me or directly to the NIEA from further verbal assault and anger. At the very least, this person is owed a grovelling apology by Mr Hurl, if not compensation from Amey, his employers. Even if no recognition is forthcoming from these quarters, this person should be recognised as one of the true heroes of his affair and (even anonymously) hailed as one of the few who acted with real courage and leadership during the Phase 1 excavations. Related to this must be the actions of FarrimondMacManus, the consultancy contracted to provide the archaeological staff to the excavation. Despite having failed to protect the rights and interests of their employees in the face of Declan Hurl's actions, they retained their contract to provide staff throughout the excavation. Although it may be argued that their actions fell far below any acceptable level of employer care and responsibility, they received no word of reproach from Cooney. In so far as can be established, they were acutely aware of the poor quality of the excavation and all of its attendant failures, but appear to have stood by and allowed the situation to continue unchecked. Of all the parties in this case, they appear to have been the only one to make a significant financial profit from it. This can be demonstrated in the clear increases in, to take just one example, their Cash at Bank skyrocketing from a mere £4,643 in 2012 to £85,858 in 2013 [here]. On currently available data, they would appear to be the most profitable archaeological consultancy in Northern Ireland, and it may be reasonably suggested that a large proportion of this is due to their involvement in the Drumclay project. I would have welcomed some clarity and quantification around the amount of damage inflicted on the site. Cooney gives broad outlines about trenching by both Amey and McLaughlin and Harvey-P.T. McWilliams J.V., along with the large slippage that occurred as a result of work to dig out a portion of the bog by the latter. However, there is no clear indication as to the volume of material – either as cubic metres, or a percentage of the site – that was impacted in this way. Simply put, it would be good to know how much of the site we have lost as a result of illegal activities and incompetence. It’s probably well beyond the scope of Cooney’s remit, but it is still worthy of mention that there have been a number of comments about the contractor claiming compensation for the archaeology-related delay. It is mentioned in an article by The Impartial Reporter from the 22nd of November 2012 that states ‘The joint contractors, P. T. McWilliams and McLaughlin and Harvey, are to be paid compensation for the additional work and delay caused by the archaeological dig.’ This is echoed in an update on Wesley Johnson’s roads blog from the following day. (However, I’ve not been able to find any official confirmation of compensation being paid). In light of Cooney’s statement that ‘Mechanical excavation work by the contractors (MHPT JV) in the northwest of the bog ... resulted in a lowering of the water table and a collapse of part of the northern part of the crannog’ it would appear that there is a demonstrable link between their actions and damage to the crannog. In this context, might it not be better to dismiss talk of ‘compensation’ and instead turn to an investigation of these acts, with a view towards prosecution? With regard to damage to the site, Cooney's report appears to be largely silent on the question of the destruction caused by ‘machine-dug sondage’ agreed to by NIEA. Ostensibly, this was to ‘establish the nature of the deposits and to inform a timeframe for the excavation.’ The reality of the situation was that a significant portion of the south-western quadrant of the site was hastily machined away. Although it is presented as a reasonable and necessary act, the simple fact is that it was already known that the site was of the utmost importance and survived to a considerable depth, containing a vast array of well-preserved organic artifacts. From Cooney's remarks elsewhere in the report, it is clear that Amey's geotechnical drawings of the crannog had already determined the true depth of the site. In such a context, this intervention can only be regarded, at best, as misguided and unprofessional. I would have thought that this report would have been the perfect opportunity to address the question about the advisability of allowing engineering firms to supply their own archaeological professionals. Cooney fails to address the question, though (I feel) it is a significant contributory factor to the events as they unfolded. Hiring archaeological professionals as independent subcontractors, rather than having them as internal employees toeing the company line, would allow a much needed degree of separation and allow a robustness in the archaeological advice that may otherwise be lacking. 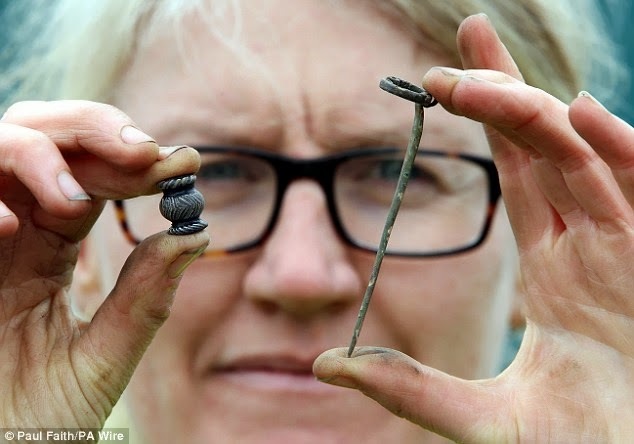 Cooney appears to tangentially touch on this when he notes that ‘It would seem that the RS/Amey non-archaeological staff did not appreciate the archaeological importance of the site or the excavation and wanted a definitive completion date. In this context the site director, Declan Hurl, who was employed by Amey, was under considerable personal and professional pressure’ (Emphasis mine). However, he fails to follow through with any further analysis of the point. Although not directly addressed by Cooney, would this not be the perfect opportunity for NIEA to issue robust guidance on this point? Again firmly outside the scope of the report, but of vital importance nonetheless, we need to see the publication of a clear roadmap for the successful analysis, write-up, and formal publication of the site. Detail on this aspect of the site is something we, as committed stakeholders, need to vigorously pursue in the coming months and years. In my opinion, a major strategic failing of Cooney’s report is the excision of all but veiled and tangential references to the critical mass of professional and public advocacy for the competent and well-resourced excavation of the site. He mentions ‘times when there was significant time pressure and public and media attention on the excavation’ and (when discussing professional working relationships during the Phase 2 excavation) ‘This was achieved in a pressurised environment, with widespread public interest and reportage’ (Emphasis mine). Reading Cooney’s narrative of events it comes across as a tale of initial failures by Roads Service et al. to engage NIEA, followed by a series of failures by NIEA to adequately manage the situation or show suitable leadership. If this were a movie there would be a breakthrough moment of clarity at NIEA, followed by an intense montage scene (presumably to the 1982 hit Eye of the Tiger by Survivor). As dawn breaks on the 17th of July 2012 NIEA’s Principal Inspector emerges as a one-man leadership machine and instructs the Senior Inspector to go to Drumclay as silent guardian, a watchful protector ... a dark knight. It was hard work, but just 10 days later the knockout punch is delivered when a meeting of experts is convened on the site and everything is put on a safe trajectory … crisis averted, NIEA save the day. There are cries of ‘Adriaaaan’, declarations of undying love, and a freeze-frame on an emotional embrace before credits roll. Sounds farfetched? Based on Cooney’s recounting of events, you could easily interpolate in the story as I’ve given above. What you wouldn’t naturally apprehend is the existence of the Cherrymount Crannog Crisis group and the host of advocate stakeholders that sprung up in response to the emerging scale of the problem. It is hardly believable that this collection of organisations (including the Chartered Institute for Archaeologists, the Institute of Archaeologists of Ireland, the Northern Ireland Archaeological Forum, and the BAJR Federation), a significant number of prominent academics (acting both openly and behind the scenes), a collection of conspicuous articles in both print and online media (Past Horizons, Archaeology Ireland, British Archaeology, and Current Archaeology), along with a groundswell of the great and the good within both the public and commercial archaeology spheres have been so easily relegated to a position of zero influence. I’m sure that some parties would be happy to believe that it was their own internal responses to the Drumclay situation that saved the day. They would cheerfully promulgate the notion that they alone were wholly and solely responsible for bringing the excavation to a safe conclusion. This is, I believe, a deeply disingenuous position. Stuart Rathbone’s review of this and other recent advocacy campaigns in ‘How to dig holes and alienate people. Archaeological protest in early 21st century Ireland’ (written while the Drumclay excavation was still in progress) states that it was ‘Spontaneously formed as a response to an urgent crisis, it established realistic goals and appears to have achieved them’ and that ‘The group can claim to have made enough impact that repeated extensions have been granted to the excavation team’ (Emphasis mine). It is clear to all involved that this effort was a genuine and powerful catalyst for change. What is also clear is that it was the concerted actions of these groups and individuals that actually created the public awareness and political will to act. And yet, it appears that all this effort to bring to light the long term mismanagement of the site and create sufficient awareness and concern to force action is left unacknowledged and unrecognised. If it wasn’t for the fact that I received a letter from Dr John O’Keeffe stating that ‘I appreciate that you have a close interest in this site’, I’d be hard pressed to believe that I or anyone else had anything to do with it! I don’t wish to seem unduly harsh on Prof Cooney – he does appear to have been restricted in the scope of his enquiries to the archived files kept by NIEA (Report Appendix 1) and Roads Service (Report Appendix 2). As neither organisation seems to have kept and curated any material relating to the escalating pressure created by the CCC group and other interested parties, it fails to get appropriate mention. Thus, it is effectively stricken from the record. Although no one involved in the advocacy campaign for Drumclay did so for the possibility of reward or recognition, it would be an appropriate measure that some acknowledgment of their paramount importance in the process given. While it may, arguably, have been beyond the scope of Prof Cooney’s investigation, would it not be appropriate for the Minister and the NIEA to do so now? It may seem like a minor point, but the report does not address Declan Hurl’s post 30th of July 2012 history on the site. He had been sole Site Director up to that point, but took on a joint directorship duties at that time. He was nowhere in evidence at the open day I attended in February 2013. When Nora Bermingham addressed the prestigious Ulster Archaeological Society in December 2013 it was in a solo capacity, not a joint presenter with Mr Hurl. Similarly, at The life and times of a Fermanagh lake-dwelling conference, hosted by Dr O’Keeffe in September 2014, there was no presentation by Declan Hurl, nor does he appear to have been in the audience. I’m given to understand that sometime after his appointment as co-Director he stopped coming to site on a regular basis. I think it would be important to know the detail of this. Was he moved to other duties? Was he disciplined by his employers? How were his actions and mismanagement of the excavation, and the impacts that led from it greeted by Amey? What exactly happened there? There is a tantalising clue to be found, not in Cooney’s report, but in a published response to a EIR Request to the Department of Regional Development (received on the 6th of February 2013)[Reference: DRD/2013-0038]. Their response to the question about ‘details of the licence, including awarding authority’ includes the statement: ‘An extension was granted to Dr Bermingham’s license on 29 January 2013, (Mr Hurl being no longer involved in the excavation)’ (Emphasis mine). What exactly happened there? This is an important consideration as the report states that Declan Hurl appears to have tried to pass off the illegal trenching of the site, carried out by his employers Amey, as having been done in a controlled and archaeologically responsible manner when in reality it was no such thing. Instead, he was not even on the site at the time. I find it difficult to summon up the words to adequately express my revulsion and disgust at this – it not just breaks the law, it besmirches every single aspect of what being a ‘professional’ archaeologist is or should mean. Fair play to NIEA – they appear to have deduced the deception and gotten a confession of guilt. However, no action was taken. And this ... THIS … is where the VERY important questions begin! We need answers to questions like – who from NIEA attended the meetings where Declan Hurl was confronted with these allegations and to whom were these minutes passed? Who made the decision not to pass the evidence to the Departmental legal personnel or to the PSNI? And why was this decision not challenged by other individuals within NIEA? At this point it should be an imperative that the NIEA’s legal advisors re-examine the evidence to, even belatedly, undertake prosecutions against Mr Hurl, Amey, and McLaughlin and Harvey-P.T. McWilliams J.V. Added to this there should be a strong, public commitment to pursuing vigorous disciplinary measures against senior NIEA personnel who failed to act in a manner befitting their positions. A key question in the latter case must be to untangle the words and actions of the two Senior Inspectors. Were they acting in a manner designed to shield their actions from senior management, or acting without adequate managerial support and supervision? The understaffing of the NIEA has long been a known crisis point and has been identified by Cooney as a contributory factor in this case. Even if vacant positions have been filled, and the NIEA is in the process of transitioning to a new organisation structure, would it not be a valuable recommendation that all senior staff involved in the Drumclay case participate in dynamic retraining and reskilling to enforce the lessons learned and embed their roles and responsibilities? At the very least, should all concerned not be subject to some form of robust internal mentorship where all actions and decisions are critically reviewed at regular intervals? If these methods fail to produce appropriate results, would it not be appropriate to consider either transitioning these individuals to less responsible and onerous roles, or out of the NIEA entirely? Even if the NIEA fail to undertake a series of prosecutions against the individuals and companies involved in this case, the prima facie evidence presented in Cooney’s report should be sufficient to convince Roads Service to ask some serious questions of their own. I would envision that chief among these would include: Should Roads Service bar itself from engaging either Amey or McLaughlin and Harvey-P.T. McWilliams J.V. in any capacity in the future? Similarly, the onus must now be on NIEA, as part of its review into their licencing procedures, to enquire whether or not Declan Hurl ever again holds a position of power on any archaeological excavation in Northern Ireland? Going beyond that, I also believe that it is now incumbent on the Institute of Archaeologists of Ireland (and all other relevant professional bodies) to review the findings of this report. In my opinion, it behooves them to compare Prof Cooney’s statements of wrongdoing by Mr Hurl and others to their internal Codes of Conduct and decide whether or not they are compatible with his continued Membership of the Institute. While I’m in little doubt that all departments of the Northern Ireland government scan this blog on a regular basis to see if there’s anything they need to respond to, they do seem to prefer it if you write to them directly. Thus, I have prepared detailed emails requesting comment and clarification from Ministers Danny Kennedy, MLA and Mark H Durkan, MLA along with Mr Mel Ewell, Chief Executive Officer and Executive Director, Amey plc. If and when I receive responses from these individuals, I will post them on this blog. While many people exerted their influence as part of the advocacy campaign for the excavation, a number of 'the great and the good' deserve special mention for their efforts: Mike Pitts of British Archaeology Magazine, David Connolly of BAJR, Maggie Struckmeier of Past Horizons, and Phil Flannagan, MLA. There still remain a small number of people who, even now, cannot be named publicly. This in no way diminishes the importance of the assistance they gave, the risks they took, or the hardships they endured. While their names may not be known to many, their actions will have long-lasting consequences and everyone who cares for archaeology on this island should thank them! The first part of the title was suggested by Dr James O'Neill of UCC and is used with permission. Thank you, sir! You Rock!